Following on from a exciting few years for the Reggae Roast crew, where they've built their own custom heavyweight Soundsystem, headlined festivals and club nights all over the world & released a string of critically acclaimed singles, they are proud to present their first feature length artist album from long time collaborator and integral part of the Reggae Roast family, Adam Prescott. 'Warrior' kicks off with the title track from UK veteran and all round lyrics machine Brother Culture, who, over a steppers style riddim chants militantly about Rastafari. The LP continues with notable features from Parly B, Charlie P, Donovan Kingjay & Nottingham UK Hip-Hop legend, Karizma. In a time where many producers stick to one particular sound, Adam showcases his variable style to full effect throughout ensuring the listener's full attention until the very last note. 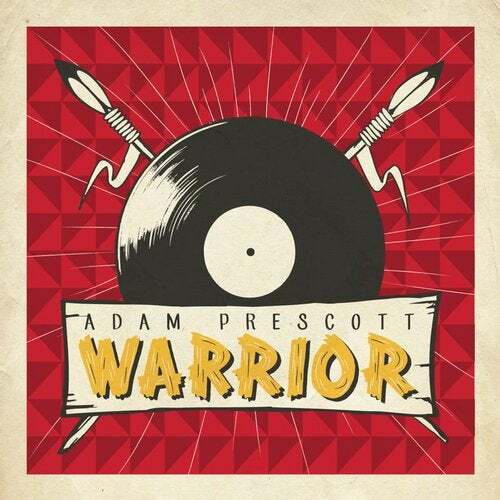 Nottingham's own Adam Prescott is one the most exciting new producers in the UK Digital Roots scene. With support and guidance from Mark Iration (from the Leeds based Iration Steppas), Adam has quickly established himself as one of the key players in the re-emergence of British Reggae, with first class original songs featuring the likes of Cornel Campbell, Michael Prophet, Sugar Minot, Ranking Joe, Rod Taylor & Johnny Osbourne to name but a few. Add to that consistent play on BBC Radio One & Rinse FM & huge support from Sir David Rodigan, featuring Adam on his 'Best Of British' show on 1Xtra, Adam is becoming one of the hottest prospects in the revival of soundsystem music. With a full year of crucial releases scheduled and soundsystem sessions booked worldwide, 2016 is set to be one of the best years so far for Reggae Roast so keep them eyes peeled!